Safestore Self Storage in Portsmouth is conveniently located on Fratton Way next to Fratton Park football ground and Tesco Extra. It is a short walk from Fratton train station. All your things are kept safe from damage and harm with our 24 hour recorded CCTV and intruder alarms. As the only key holder, you have unlimited access to your room during opening hours. We believe in excellent customer service and whether you require short term storage or are looking for something on a long term basis, we can offer you expert advice. Call us today or a get a quote above. If you're looking for any other locations, you can click here for storage in Portsmouth. We have a range of storage solutions at Portsmouth Safestore, whether you are moving house or just need some space to store your things. Use our storage size tool to help you decide what you need. 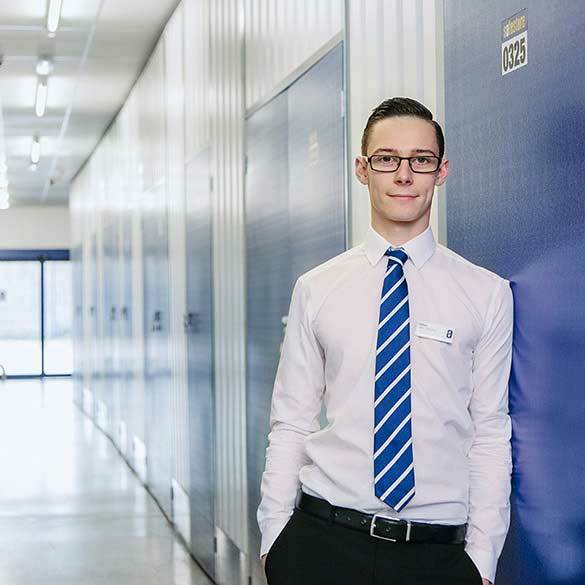 Get 50% off storage for up to 8 weeks at Safestore Portsmouth with no minimum stay. Offer available at all UK Safestore centres. Get a storage quote at Safestore Portsmouth today and reserve a unit for free. When you move in we won't need a security deposit either. Get 20% off at Safestore Portsmouth if you agree a stay for longer than 12 months. Terms apply.